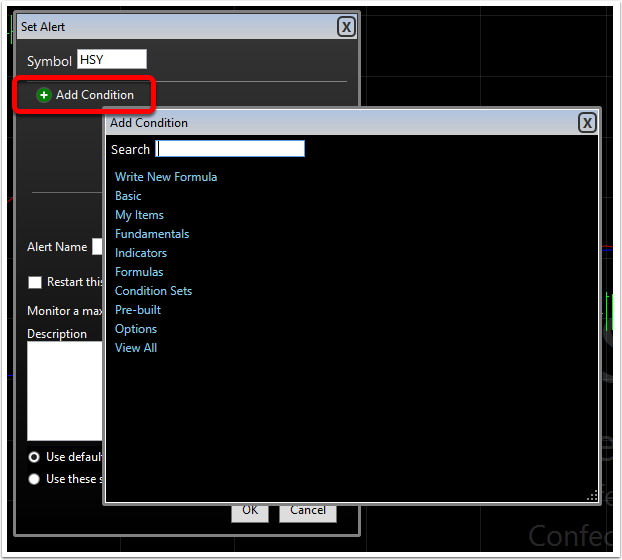 Here are the steps for setting up a Condition alert. 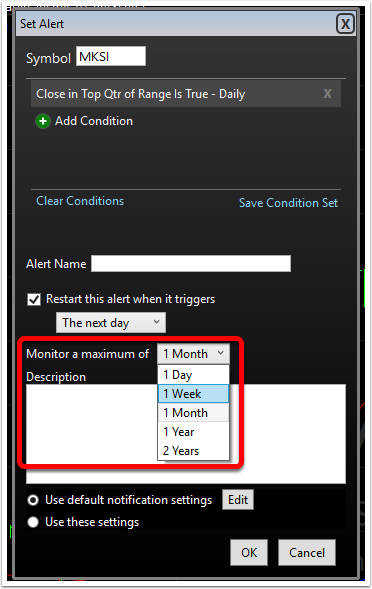 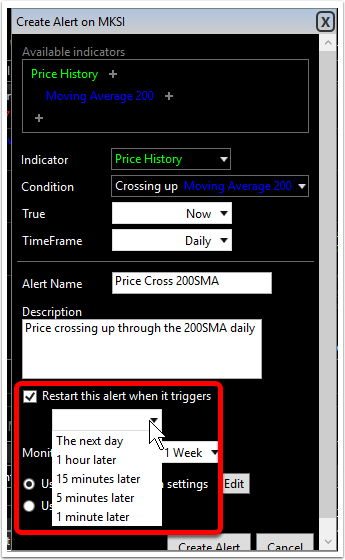 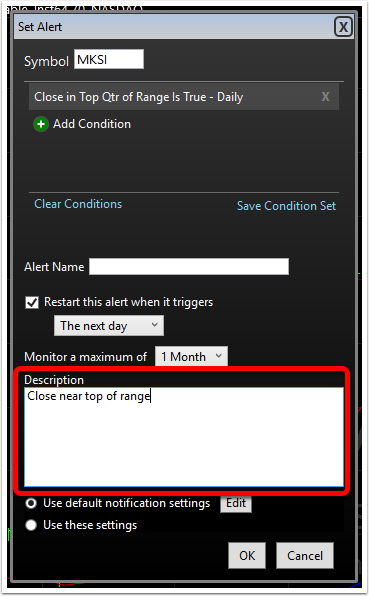 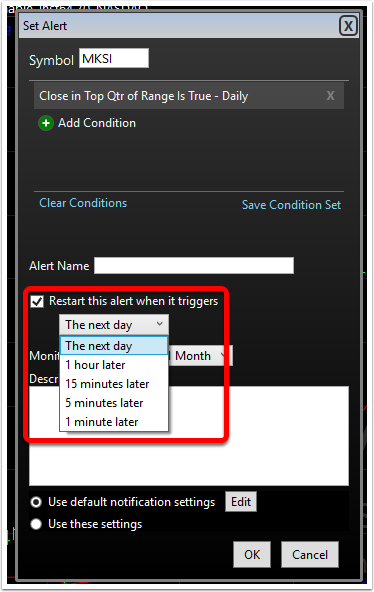 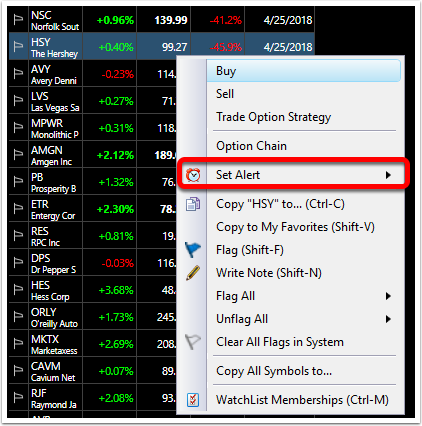 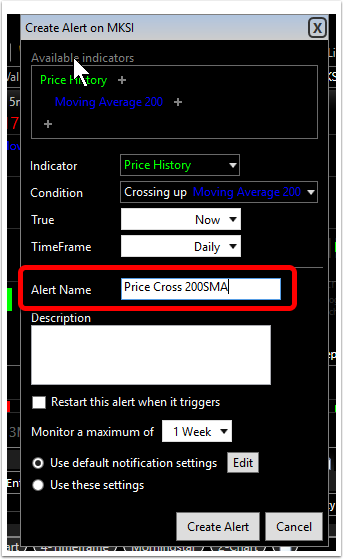 Click Create Alert to set Condition alert. 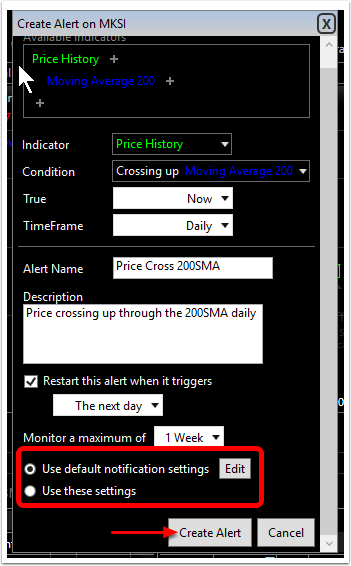 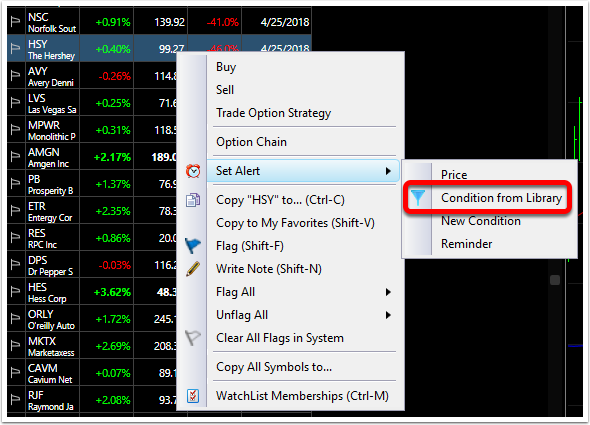 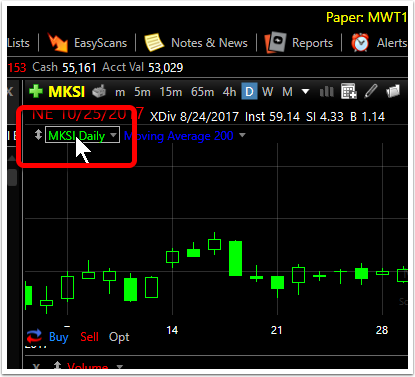 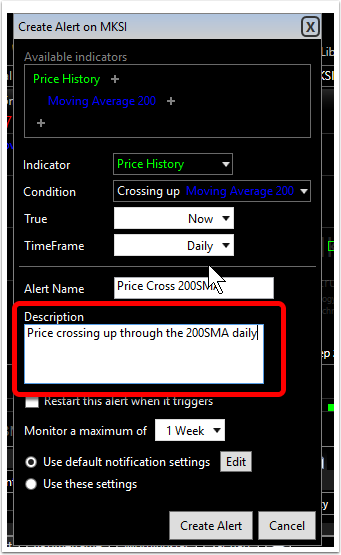 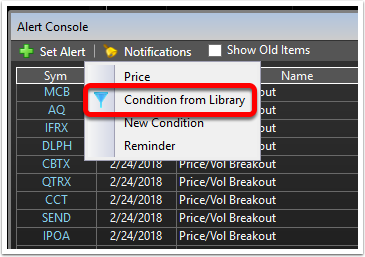 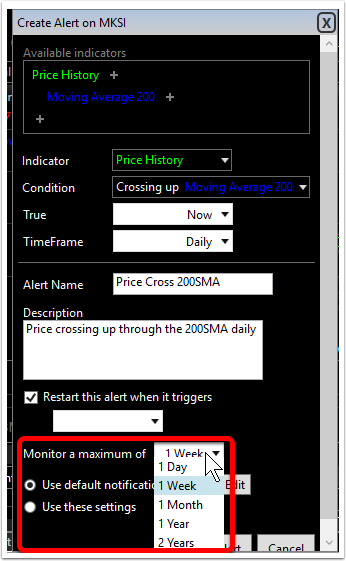 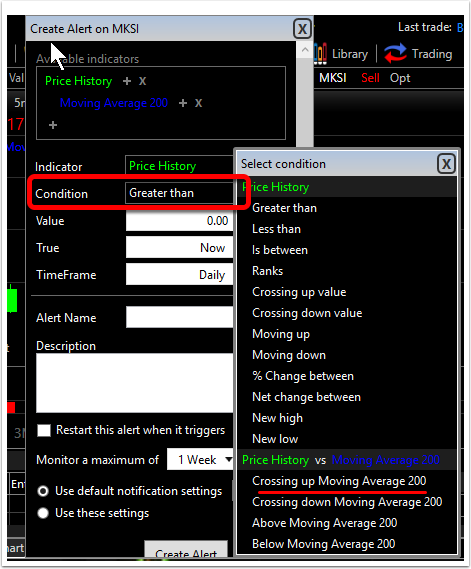 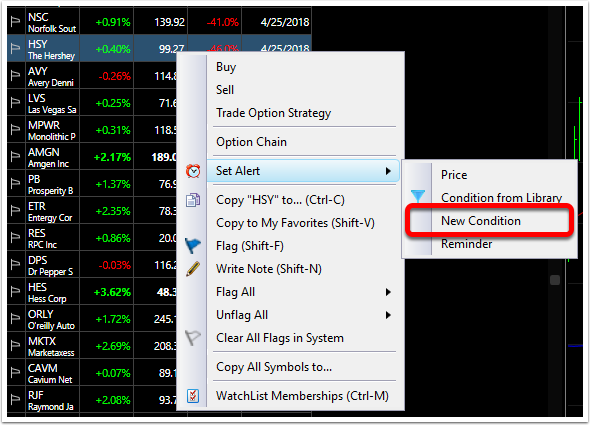 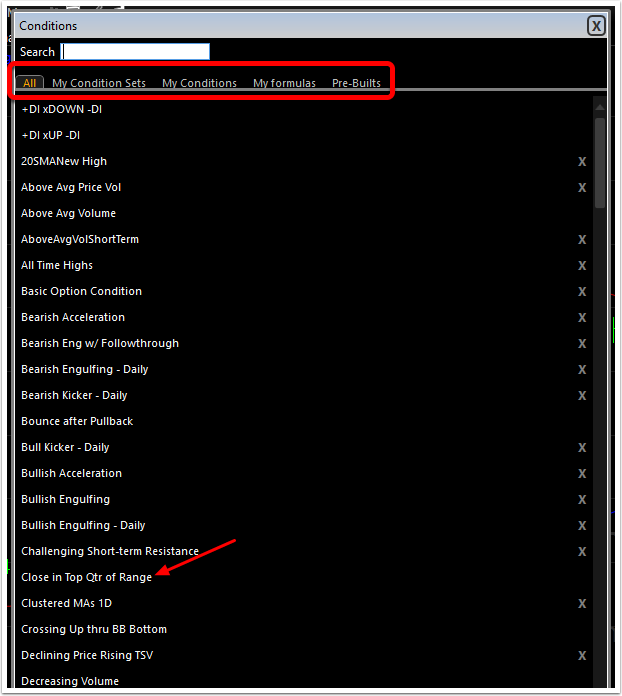 Conditions can then be built by writing Formula or using indicators. 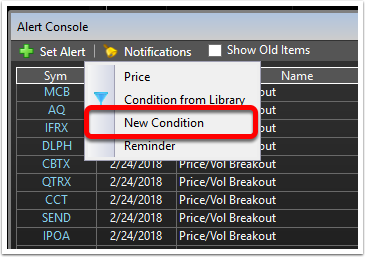 Click here for more on Building Conditions/Condition Sets. 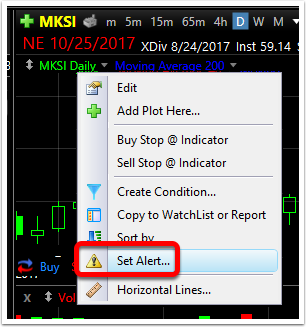 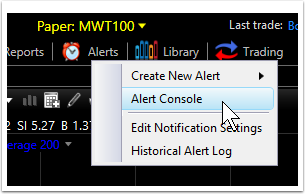 Click OK to set Condition alert.